Alexandra Lilah Denton, known professionally as Shura, is an English singer, songwriter and record producer. She is best known for her work in the genres of electropop and synth-pop. 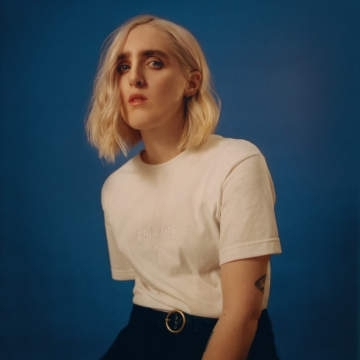 Shura made a stunning return in March with a new song ‘bklynldn’, it marks the start of a new chapter for Shura. That timeless look at long-distance romantic longing - if told through the modern lens of apps, texts, and anxiety-inducing silences - it’s a cinematic, exquisitely intimate examination of what presence and absence means in modern relationships; a passionate, tactile record about connection in volatile times; and, despite its cleansed sonic palette, still the unmistakeable sound of Shura.